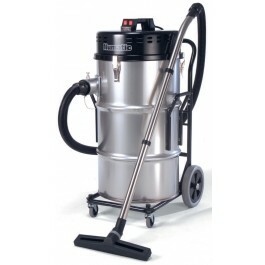 The combination of Structofoam and stainless steel is a standard very close to our engineering hearts and this is never more obvious than in the classic NTD-2003 Industrial Vacuum Cleaner. 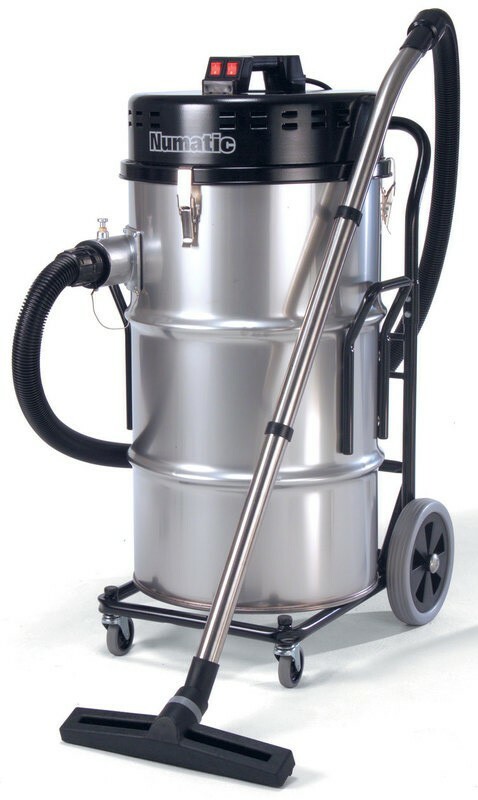 Here you have a big capacity machine; a powerful Structofoam, Twinflo two-motored power head, giant shakeable filter system, stainless steel container and heavy-duty transit chassis. Designed to perform well and give good results - year in year out. The standard accessory kit is 38mm (1 1/2”) but by virtue of the clever multi-purpose cyclonic inlet design accessories from the 51mm (2”) and 76mm (3”) range can also be selected without machine variations. Be it builder’s rubble, use in a chicken house or a textile mill, the NTD-2003 will give you good, reliable service. This industrial model come with 2 years warranty. The BB5 38mm industrial kit is included with the vacuum, this includes..
602919 Stainless Steel Tube Bend. 602920 x2 Stainless Steel Extension Tube. 602531 400mm Wide track Brush / Rubber Nozzle. 602162 152mm Rubber Brush with Stiff Bristles.